Single Family Home Beautiful Northside All Brick Ranch with Split Bedroom Floorplan, newer roof, remodeled Kitchen, on quiet north side street with a cul-de-sac. 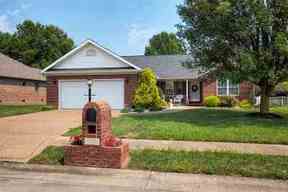 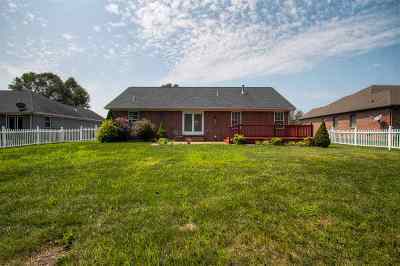 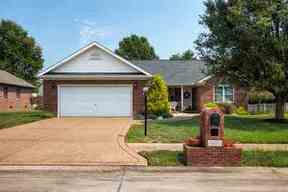 Beautiful Northside All Brick Ranch with Split Bedroom Floorplan, newer roof, remodeled Kitchen, on quiet north side street with a cul-de-sac. 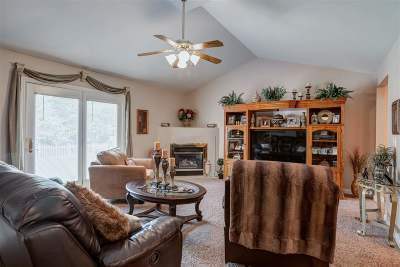 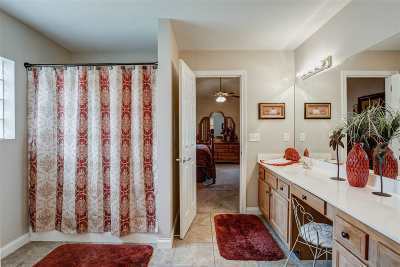 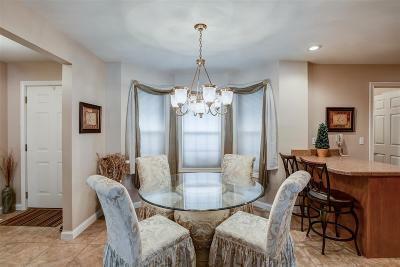 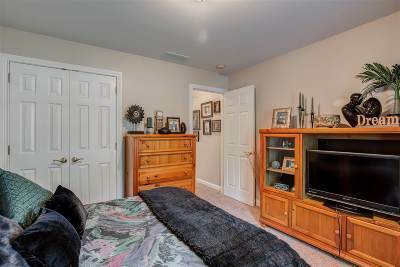 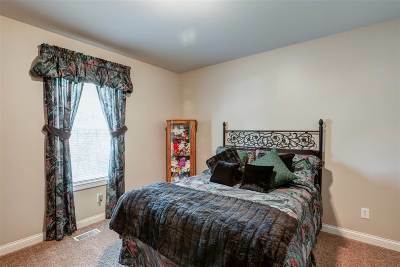 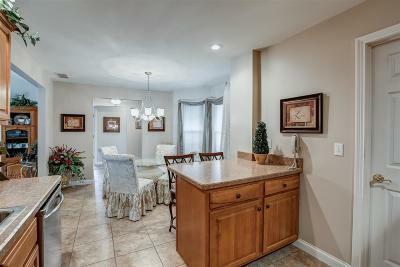 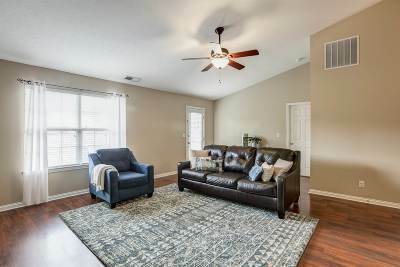 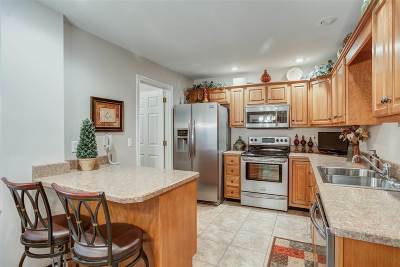 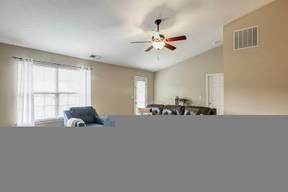 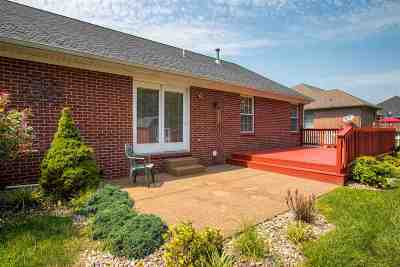 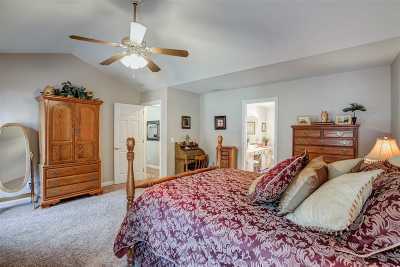 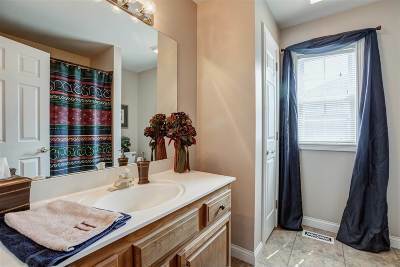 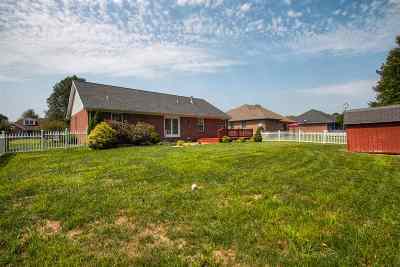 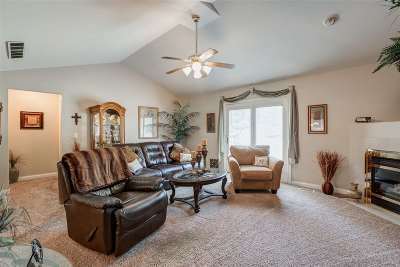 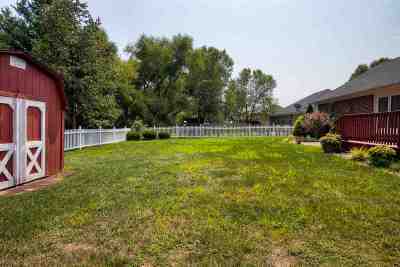 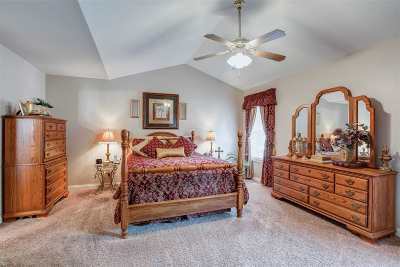 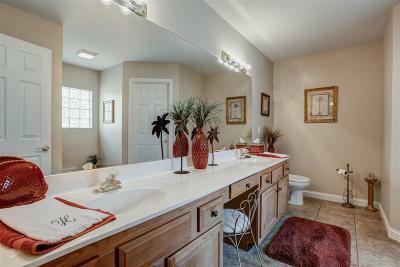 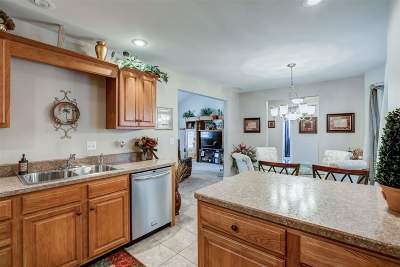 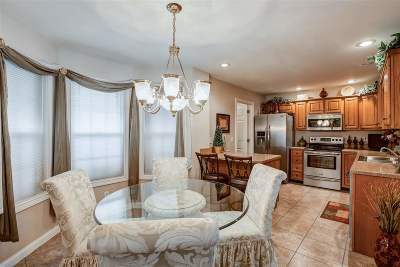 This home is lovingly maintained and has neutral décor throughout. 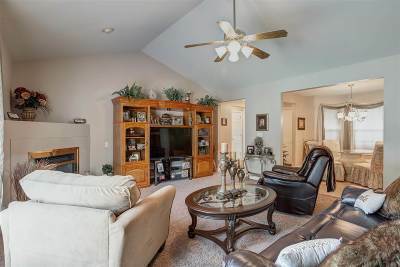 The Entry flooring is “Permastone” Luxury Vinyl Tile and leads to the spacious Living Room with cathedral ceiling. The Eat-In Kitchen has attractive maple cabinetry, newer Frigidaire Stainless appliances, extra counterspace and breakfast bar, the LVT flooring, and a lovely bay window area for a dining table. 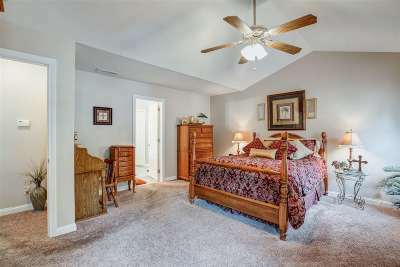 The large Master Suite is accessed from an offset from the Living Room, and also has the cathedral ceiling, private bath with double sinks, and a walk-in closet with organizing system. 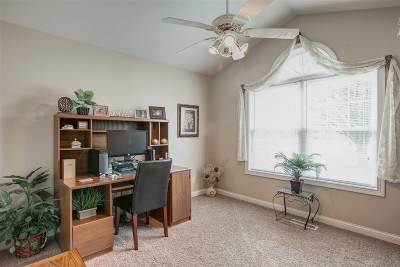 The front Bedroom has a vaulted ceiling and half circle top window allowing in plenty of light, and could also make a great office. 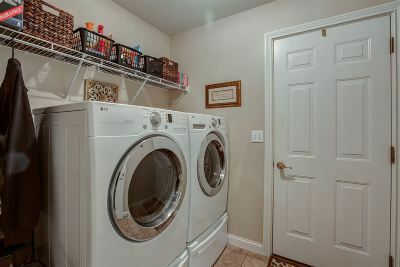 There is a Laundry Room between the Kitchen and Garage and has a utility closet. 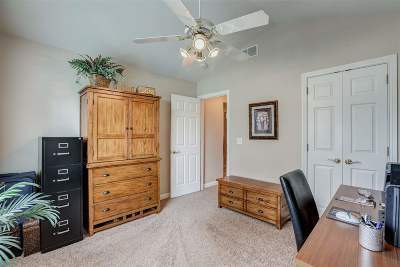 The 2.5 Car Attached Garage is finished, and has a pull-down stairway to attic storage. 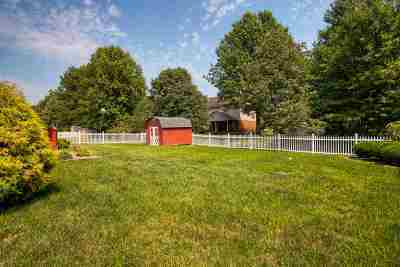 You can enjoy the backyard on both the deck and patio, and there is room on the covered front porch for a couple of chairs. 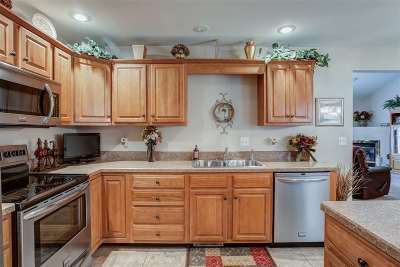 The dimensional roof and Kitchen were updated approx. 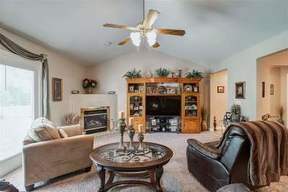 7 years ago per owner. 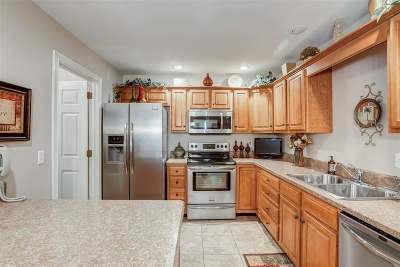 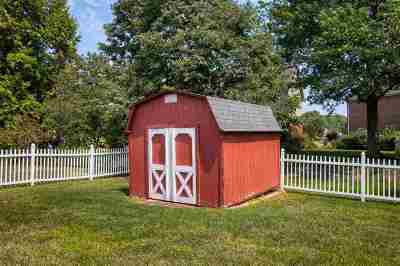 Sale includes: all stainless kitchen appliances, shed, and blinds.